A flowering shrub with 10 - 12" clusters of blooms, Annabelle Hydrangea is now available in a gallon pot and shipping now. Annabelle's flowers open up white then fade to a wonderful green by late summer then finally to a tan or light brown for winter interest. Great for dried flower arrangements, too! 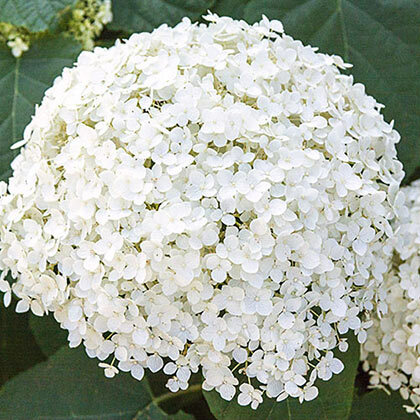 One of the hardiest hydrangeas, it consistently blooms every year even after severe winter weather. 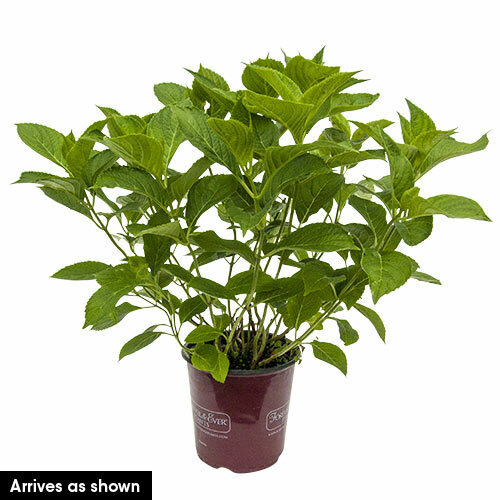 Grows 4 ft. tall with a 4-6 ft. spread. Performs best when planted in partial shade. Potted. Zones 5-9. Zones5 - 9 (-20° F.). FoliageGlossy green foliage, opposite, ovate leaves. Flower FormTiny white fertile flowers, corymbs 2-6 inches across. Soil RequirementsRich, well-drained, fertile, moist soil. Not drought tolerant. PruningPlants may die to the ground in harsh winters. Bloom occurs on new wood, so plants may be pruned back close to the ground in late winter. CommentsMulch deeply to help retain soil moisture and protect for Winter. Flowers on new growth, so cut plant back to the ground in early Spring to promote best habit and flowering. Keep soil moist, not soggy. Hardiest of summer-blooming hydrangeas. Good for cut and dried flower arrangements. Flower color usually passes from green to white to brown. Foliage and buds may be toxic to some degree if ingested. Size10-12-inch flattened corymb or cluster of small blooms.